As you may have heard, charcoal is coming on the rise in many beauty and health trends. Whether you are smearing it, brushing it, or eating it, activated charcoal is everywhere to be seen. It is known to absorb bad toxins and seems to clear up acne prone skin. So there is no debate why it is such a popular trend. But as we use it all over our body, the real question has been: Is Activated Charcoal Toothpaste healthy to use on our teeth? Don’t be deceived into thinking people are taking charcoal off the grill for their beauty habits. 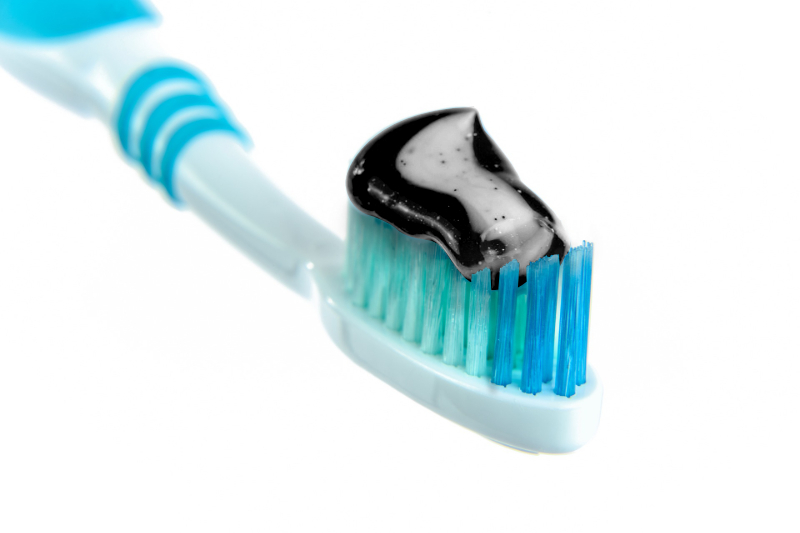 Activated Charcoal undergoes a unique process for it to be deemed safe to use in face-masks, vitamins, and toothpaste. You can use many different materials to get activated charcoal. Such materials can be coconut shells, bone char, olive pits, coal, and sawdust. These materials are then milled into a fine black powder. To get the powder to activate, they would process it with high heat. Activated charcoal develops more internal spaces/ pores. These pores are able to trap toxins and chemicals, which is where the health benefit comes from. Once it is activated, Charcoal, is known to have a negative charge, which attracts toxins and gases with a positive charge. It’s able to be carried out of the body through excretions because it cannot be absorbed by the body. In theory, Charcoal is very beneficial for toxin removal. However, there hasn’t been much research towards its whitening abilities. Although there have been many videos and reviews about the black paste, the scientific research still hasn’t come out. If you still want to try out activated charcoal toothpaste, make sure the abrasiveness of the toothpaste isn’t high. Brushing with a very abrasive toothpaste can wear down your enamel. Since we can’t regrow or replenish the enamel, wearing it down can be detrimental to our oral health. The RDA (Relative Dentin Abrasivity) suggests that your whitening toothpaste be below a 200. We will go to great lengths to get that perfect smile. If you decided to be a part of this trend, try smearing the toothpaste onto your teeth. This way you won’t endanger your enamel and will still see the results! Another suggestion to take into consideration is to always consult with your dental professional when using new products. Everyone’s teeth are different, so make sure you are benefitting your own oral health. For best results that are safe and practiced, get your teeth whitened professionally by a dentist. If you are unsure about using Charcoal toothpaste, check out Reno Dental Associates other options for teeth whitening. We use safe whitening procedures and tools that give you the best possible results for whiter, healthier teeth. You can also contact us with any questions regarding your teeth whitening curiosities.